How does the Tet in Sapa look like? Sapa- one of the most breathtaking hill stations of Vietnam with impressive mountainous landscapes, lush rice terraces, unique ethnic minority people’s villages and diversified hill tribal cultures. 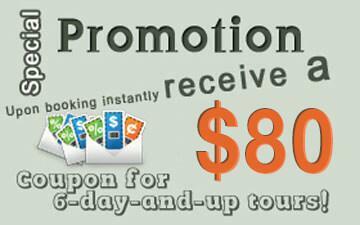 The town has a lot of tourist attractions and Lunar New Year traditions awaiting for you to discover. 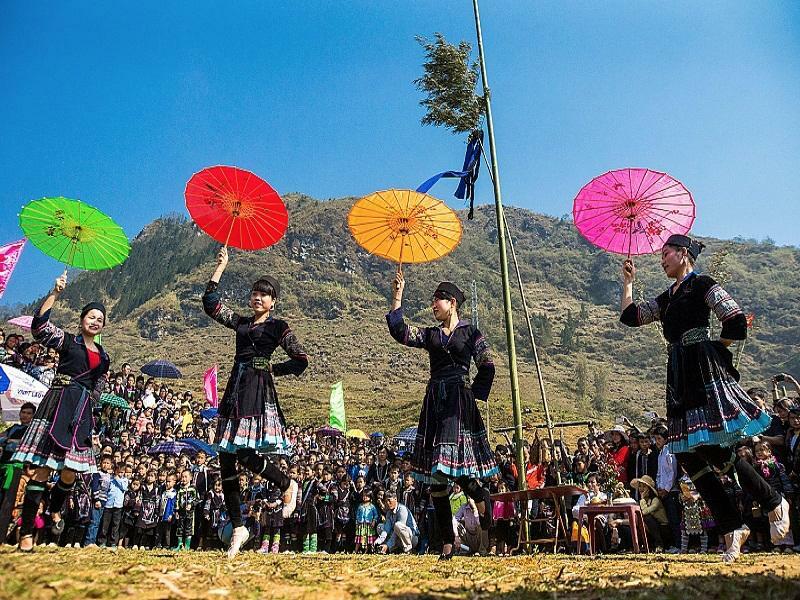 Because of its specific terrain and unique weather, Tet holiday in Sapa seems to be distinctive; it is not as crowded as weekdays. You may still experience the atmosphere of a cozy spring though the atmosphere is quieter. You will sense warmth spreading out all over from peach blossom, lights from street lamps at night at this mountainous area. 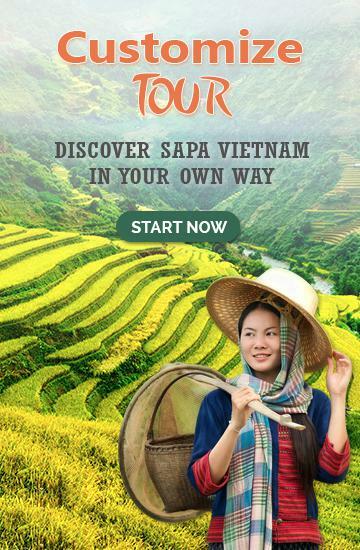 So, why don’t you take this opportunity to make your best tour to Sapa! 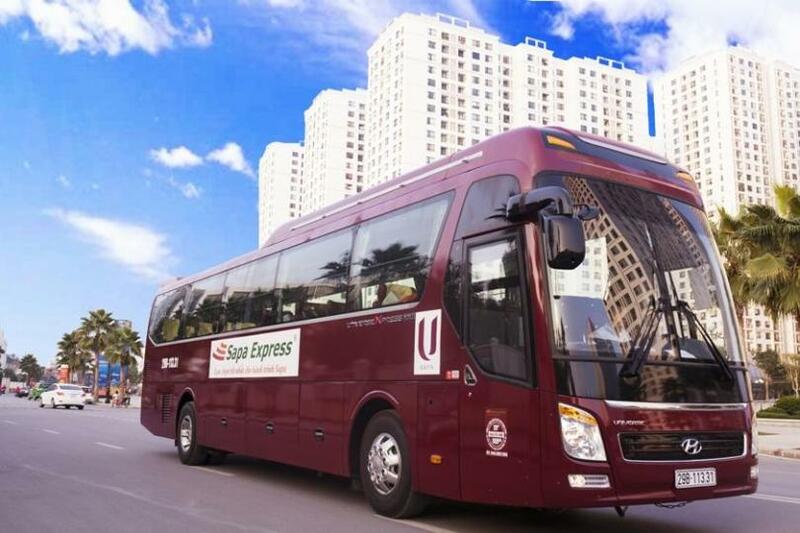 You may choose from a lot of transportation to get to Sapa at this time, by train, by bus or both. But the best way to experience every single beauty of this land is taking a train from Hanoi and arriving in Lao Cai train station at around 7am, after that arriving in Sapa at 12.00 by bus. 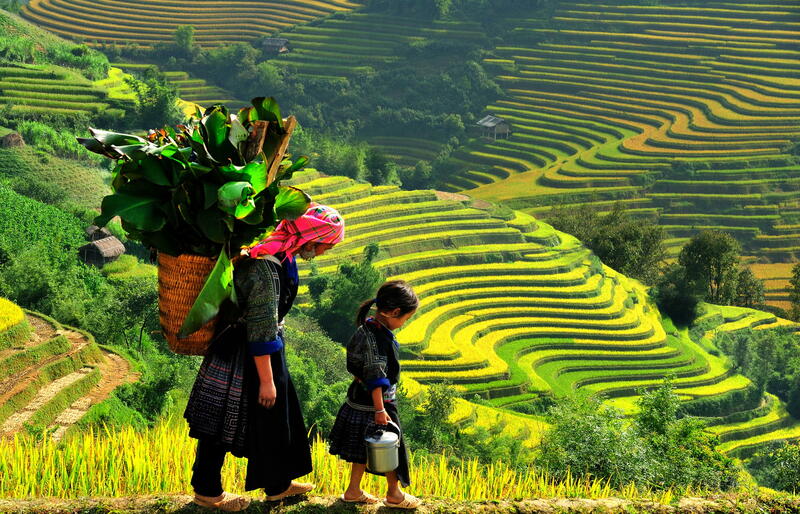 A tour guide is one of must-have things when coming to this mysterious place, you will walk from Sapa towards Muong Hoa valley where we can admire magnificent landscape. 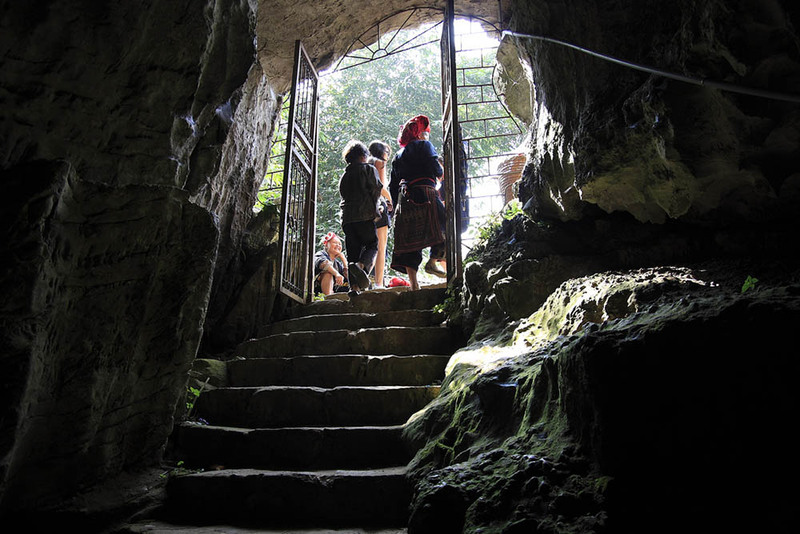 Here you will discover the wonderful scenery of Hoang Lien mountain ranges and meet Black H’mong tribes. 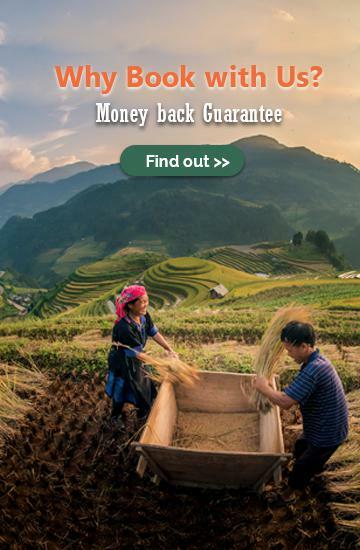 Trek through terraced rice paddies and minority villages along the Muong Hoa River. Then crossing the suspension bridge towards the Zay village, arriving at Ta Van. As you walk through different hill tribe villages (Hmong and Dao people), our guide will explain customs or practices to you. 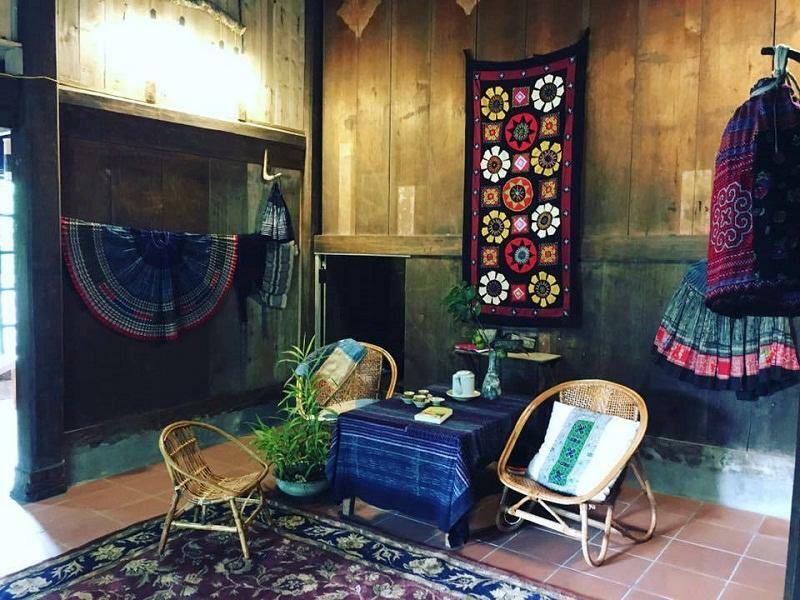 Greatly, visiting Sapa in Vietnamese New Year, you will have a chance to experience in local activities in Tet holiday, especially experience homestay with local people where we have dinner cooked on a wood fire enjoying the company and hospitality of our Zay family. 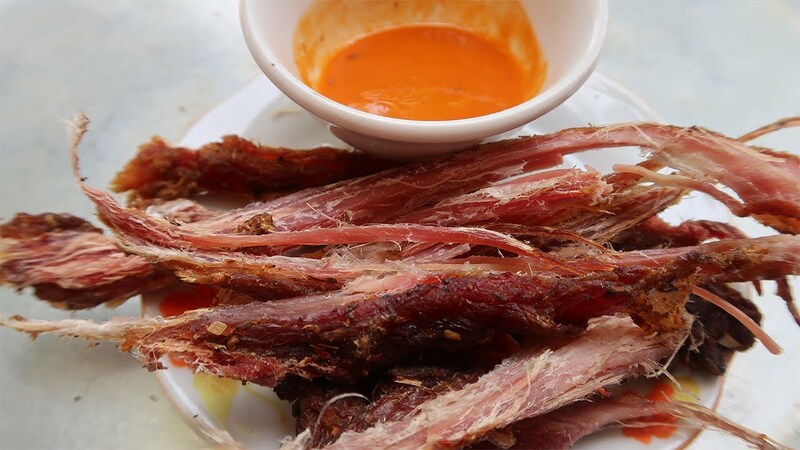 You can enjoy traditional foods in Lunar New Year such as Chung cake, Te cake (Banh Te), Frozen meat (Thit Dong), Pickled onions (Hanh Nen), Dried bamboo (Canh Mang Kho) and so on. 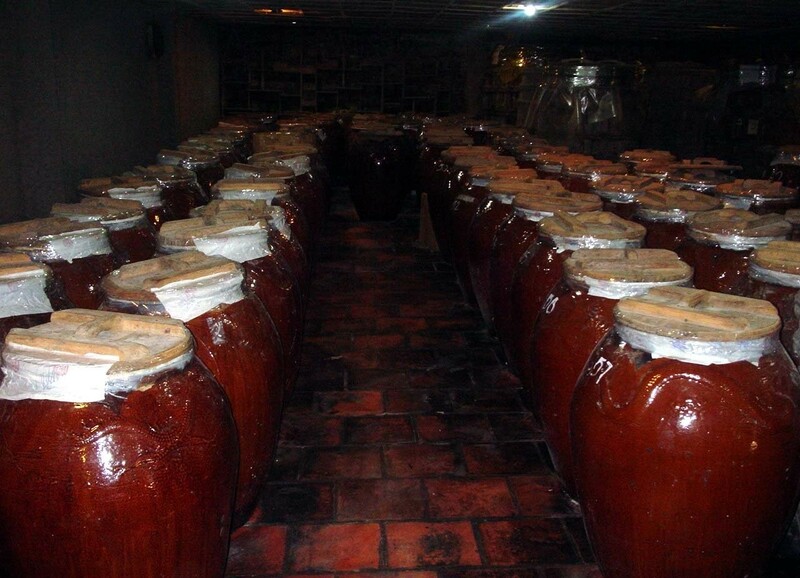 Tet holiday is the best time to be available these foods. 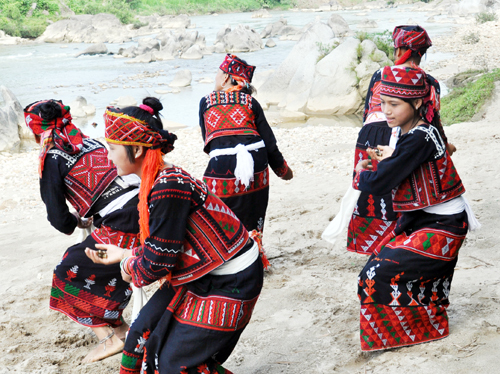 If you can arrange free time to grace the New Year festival of H’mong people is Gau Tao. 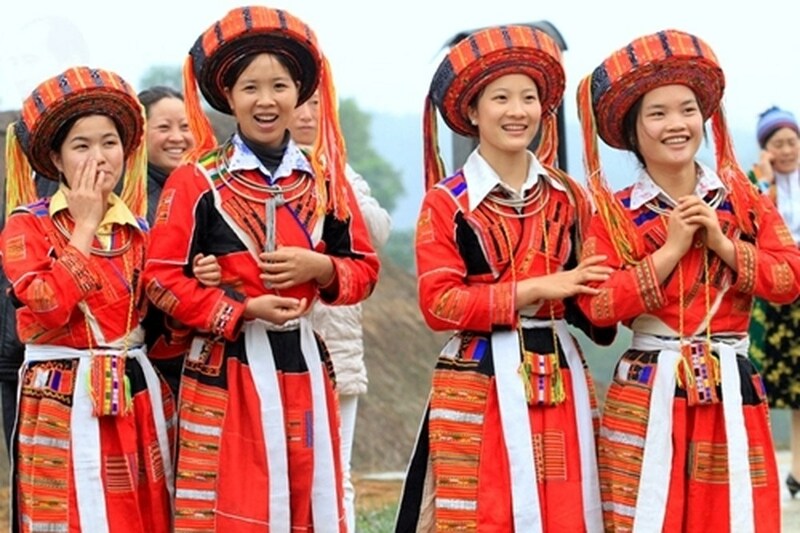 This is one of the biggest festival organized by H’mong people to respect ancestors of harvest, cattle and to pray for babies and it demonstrates the features of H’mong culture in Tet holidays. 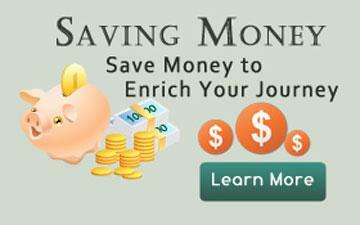 The festival can long 3 days if it’s held every year or 9 days if the time period is each three year. 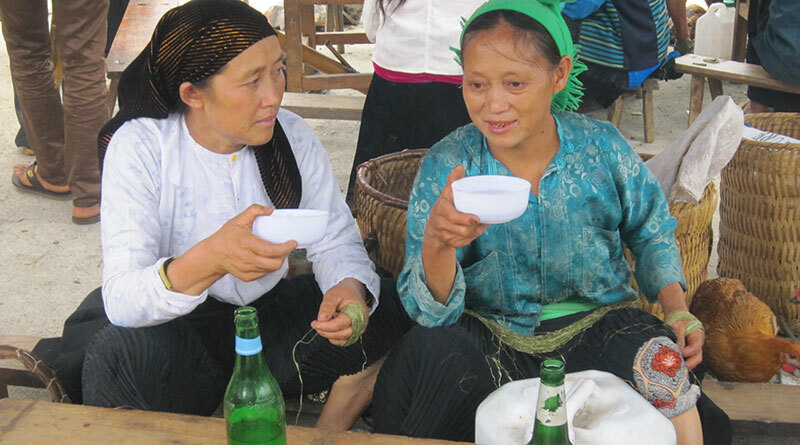 In this festival, there are charm-transferring (giaoduyen) singing, playing favorite games and activities. At the festival, you can also have chance to try the good meal with traditional foods. 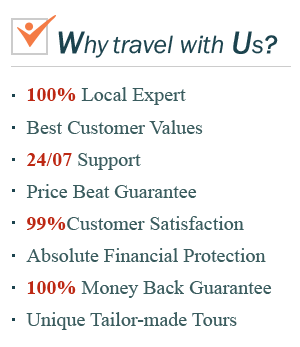 And finally, you will end the trip by transferring to station for overnight train back to Hanoi. 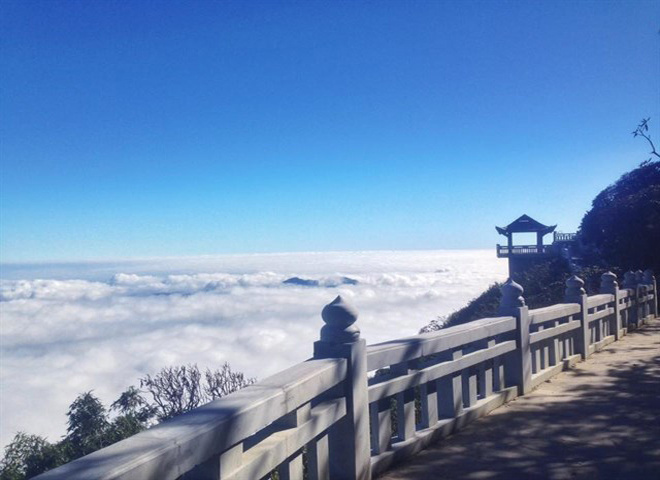 With clean and such romantic atmosphere, Sapa is definitely going to be an interesting and full of a fun journey for New Year vacation. 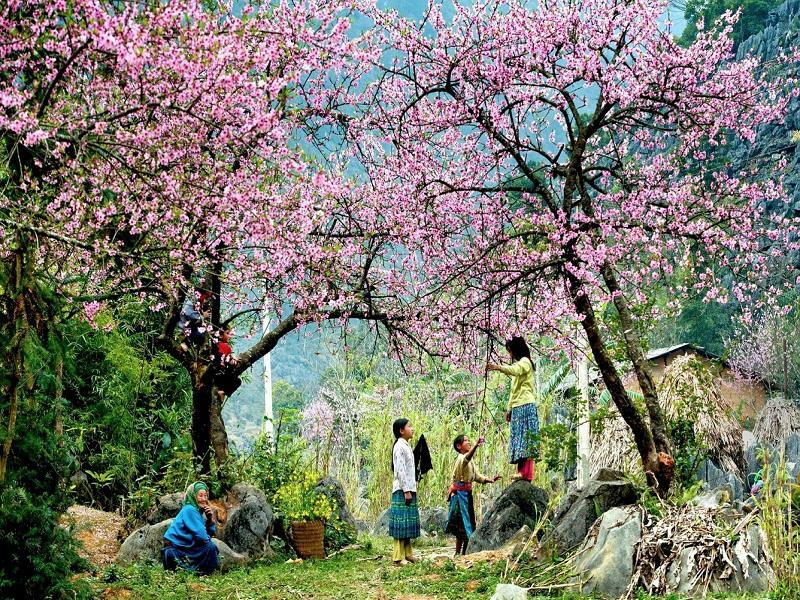 But, Tet is not the only beautiful time of Sapa, for each seasons, this place wears another beautiful clothes made of natural sceneries. 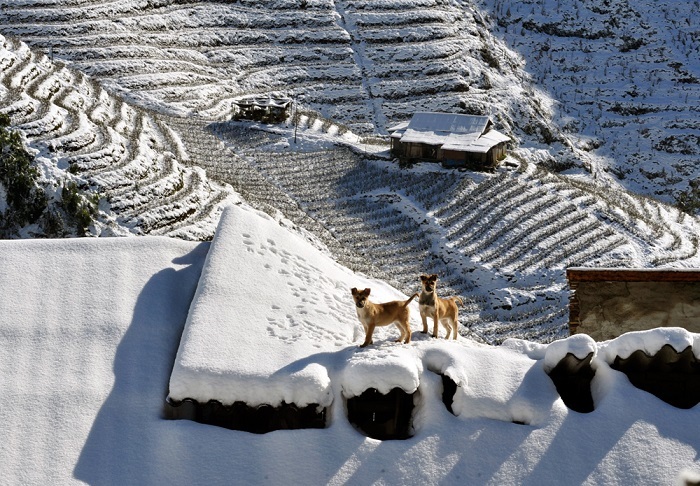 You can read about the different beauties of Sapa in each seasons right HERE, at an older article.